Spring is near and with it comes events such as weddings, Mother’s Day and graduation parties. Have you ever wondered how far in advance you should send out a Save-the-Date card? When should you mail out college graduation invitations? How do you properly address an envelope to two unmarried people who live together? To find answers to questions like these, stop by www.CreativeParties.com and visit their Question & Answers page. It offers a wealth of information for event etiquette guidelines and other tips. 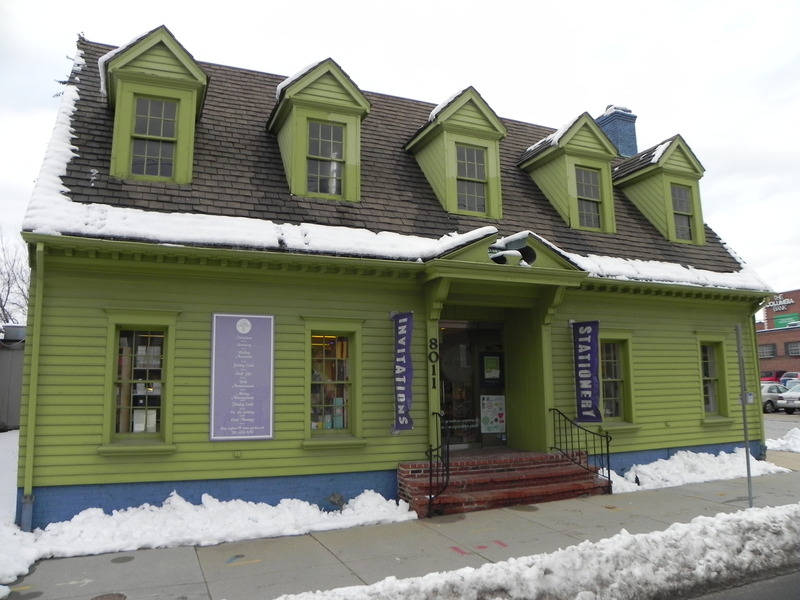 I have often driven past the cute little spring green colored building with its dormer windows located at 8011 Woodmont Ave and finally wandered inside recently. I noticed that they have an impressive selection of invitations, notepads, cards, paper supplies, gifts, accessories, stamps and more – but I also learned that the business is so much more than paper supplies. I had no idea that Creative Parties, Ltd has been an award-winning local event planning, design business and supplier of invitations and stationary for over 40 years! Creative Parties began in 1968 when Rita Bloom decided to turn her sweet 16 party planning services into a business. Today she co-owns and operates the successful business with her daughter, Tracy Bloom Schwartz. Their company has won numerous awards for Best Wedding, Best Social Event, Best Invitation, Best Corporate Party, and more from magazines and societies throughout the years. They are even included in the exclusive list of recommended wedding consultants by The Willard of Washington, D.C. Their accolades are extensive yet what I love most about Creative Parties is their mission to do well by the environment while also designing amazing events and celebrations. As a business, Creative Parties Ltd has adopted a core mission of environmental stewardship. They have found excellent quality, competitively priced paper that is 30% – 100% post consumer waste (PCW) and they use soy ink for custom printing. Soy ink is low in VOCs (volatile organic compounds) reducing air pollution which is better for the environment and better for you. In addition to their broad selection of “green” products from the Green Paper Studio, they have made changes in how they run their business as well. They have switched to energy-efficient bulbs in their store and turn off the lights at night – reducing their energy usage by 19% in one year! They also re-use shipping materials, recycle and encourage their employees to use public transportation or walk to work. They are sponsors of Bethesda Green and a member of the new Maryland Energy & Sustainability Co-op. I am truly impressed with their commitment to do their part to make green choices for their business and to also provide their patrons with options to do the same when purchasing their party products. This entry was posted on Sunday, March 20th, 2011 at 10:23 pm and is filed under Art & Culture, Going Green in Bethesda, Shops & Businesses. You can follow any responses to this entry through the RSS 2.0 feed. You can leave a response, or trackback from your own site.